Address; Brookes Academy of Dance, Bridgnorth Community Hall, Severn Street, Bridgnorth, Shropshire. WV15 6BB. Dance Club in Chetton, Bridgnorth. Address; Chetton Folk Dance Club, Chetton Village Hall, Chetton, Bridgnorth, Shropshire. WV16 6UF. Dance Club based in Madeley, Telford. Address; Dance to Fitness, Lumley Hall, 60 High Street, Madeley, Telford, Shropshire. TF7 5AU. Dance to Fitness aim to encourage people of all ages to improve their fitness by taking part in a variety of dance classes, including Ballet, Pointe Dancing, Street Dance, Pilates Dancing, Tap Dancing American Jazz fitness dancing. Address; Learn to Dance, Lodge Lane, Bridgnorth, Shropshire. WV15 1DD. Ballroom Dancing, Latin Dancing and Salsa Dancing in a friendly, stress free environment (Please wear comfortable clothes and suitable shoes). Classes are for adults only and please bring your own partner. Dance School in Telford and Shifnal. Address; War Memorial club, Five ways, Shifnal, TF11 8AD. Absolute Beginner to Advanced Dance Classes in Ballroom, Salsa, Rock n Roll, Argentine Tango, Social Dances, Fast Track courses, Adult classes only (Partner Required). Address; Jodie Leigh School Of Dance, Community Hall, Severn Street, Bridgnorth, Shropshire. WV15 6BD. Address; Oakengates Sports Centre Dance Studio, New Road, Wrockwardine Wood, Telford, TF2 7AB. Address; Shifnal Folk Dancing Club, Shifnal Youth Club, Bridgnorth Road, Shifnal, Telford, Shropshire. WV15 1DD. Address; Telford Academy of Performing Arts, Ketley Community Centre, Holyhead Road, Ketley, Telford, Shropshire. TF1 5AN. Stage School with classes in Madeley (Halesfield), Newport and Wellington (Admaston). 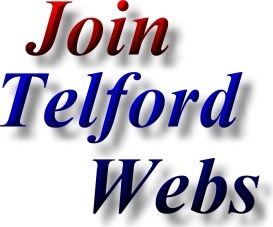 Addresses; Telford Stage School, Admaston House, Wellington Road, Admaston, Telford, Shropshire. TF5 0BN. Telford Stage School, COSY HALL, Waters lane, Newport, Shropshire. TF10 7LD. Dance Club in Ketley, Telford. Address; Ketley Line Dancing Club, Ketley Community Centre, Holyhead Road, Ketley, Telford, Shropshire. TF1 5AN.